Albert Einstein’s College of Medicine evaluated the possibilities of upgrading and expanding its present IT facilities, or building a new Data Center for its new researchers. The technical feasibility and costs were analyzed, and the University Administrative Business Enterprise determined that the construction of a new Data Center would best suit the needs of the University. The goals for the new Data Center would retain the existing Network Head Ends of the existing Computer Rooms to avoid massive rewiring of the campus infrastructures. These existing facilities would be interconnected via fiber cable to the new Van Etten Data Center Network Core. The design of the new Data Center would have a high degree of built-in flexibility and adaptability to process the various unknowns of future research that is brought to the University. The Data Center design would be based upon a computing minimum growth of three years without the need for further capital expenditure. The new Data Center is located in the former 7,000 square foot Food Service Area of the Basement of the newly acquired Van Etten Building. This 1950’s former hospital building is presently undergoing phased upgrades to serve a variety of functions for EINSTEIN. The Basement of the building is where the new Data Center is located. 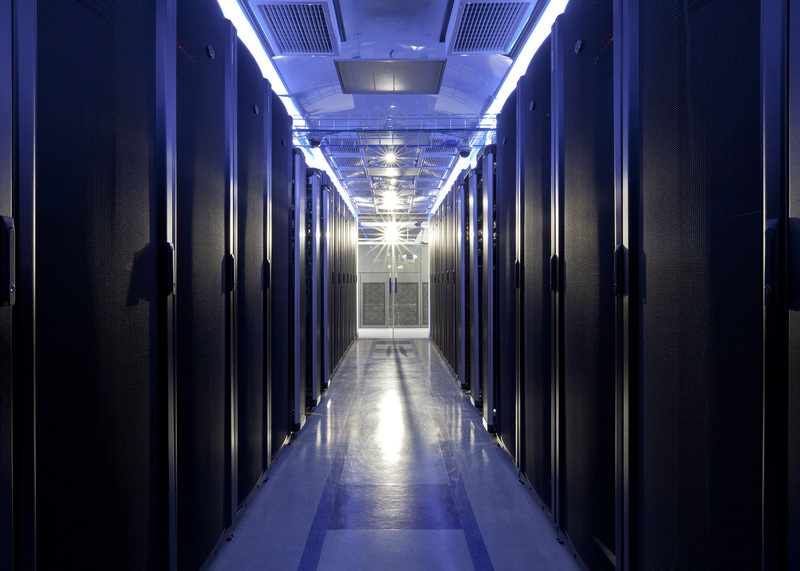 The electrical/mechanical systems and the emergency generator for the Data Center is located within Cellar Level directly below the Data Center. It was determined that conventional water-cooled CRAC units would handle initial and future cooling needs. 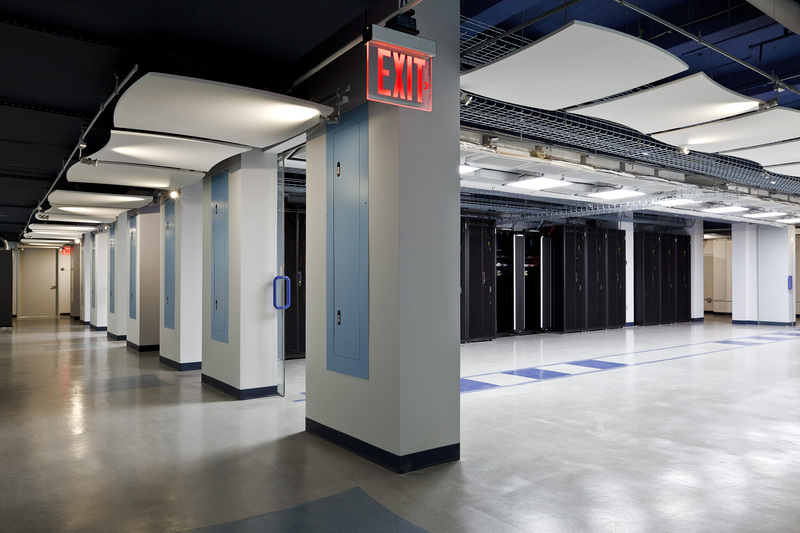 Existing demising walls and finishes typically determine most data center configurations. 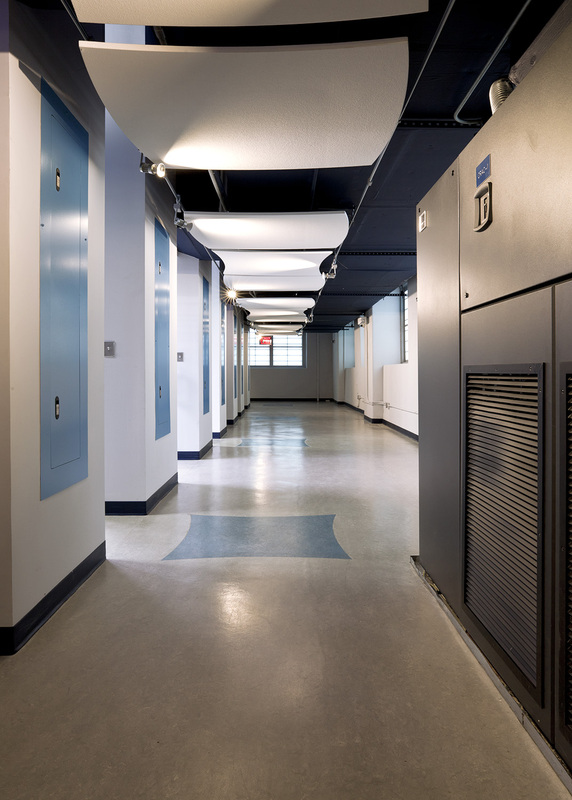 However, the Albert Einstein College of Medicine Data Center is an “architectural” space, constructed at minimal cost. 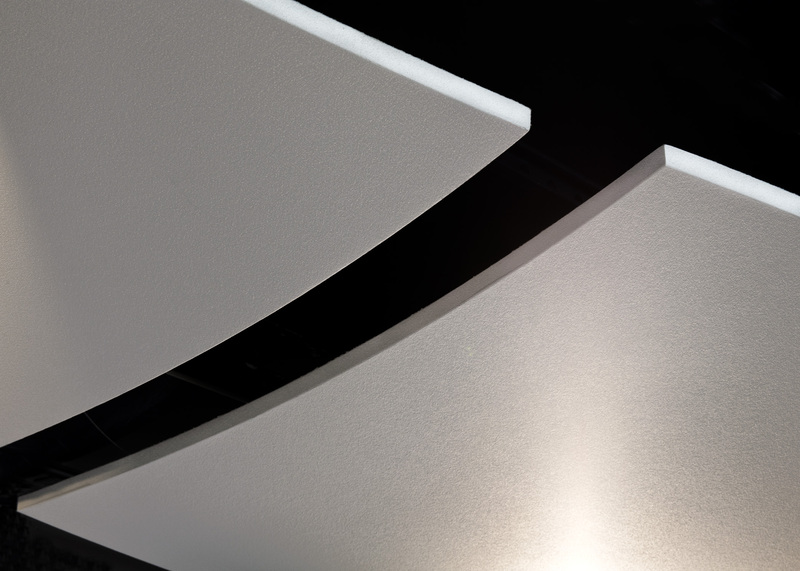 The purpose of its aesthetics is to convey to prospective research candidates, that EINSTEIN is willing to make investments for innovative science.